Moroccan tagine pots are for Moroccans what woks are for Asians. You can’t enter a Moroccan house and not find at least one Moroccan clay tagine pot. We had in our house many clay tagine pots of different types and for different uses. 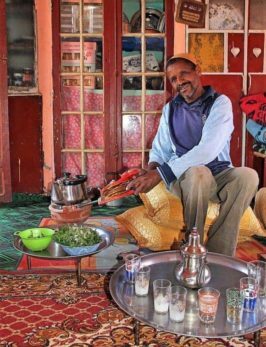 A couple of decades ago, cooking in traditional tagine pots was still part of Moroccans’ everyday life, and I am so glad I was part of this routine. I remember going to my grandparents’ house and sit in the kitchen with my grandmother and aunts, watching them cook the traditional Moroccan tagine. Back then, everything was authentic and made from scratch. 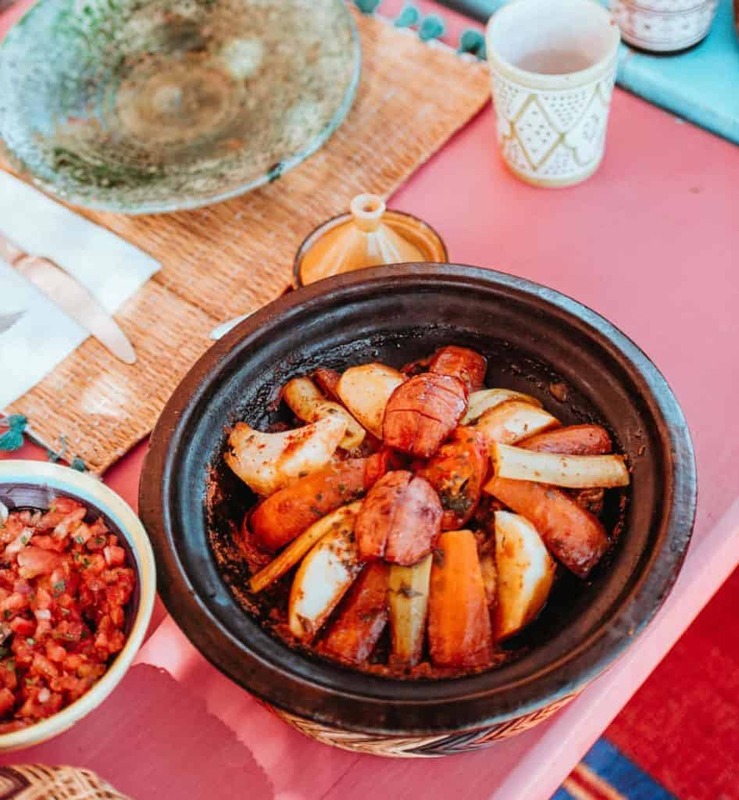 Moroccan women (who were mostly in charge of the kitchen) would ground the herbs and spices in a traditional copper mortar, mix them together and add them to the fresh meat and legumes in the tagine pot. 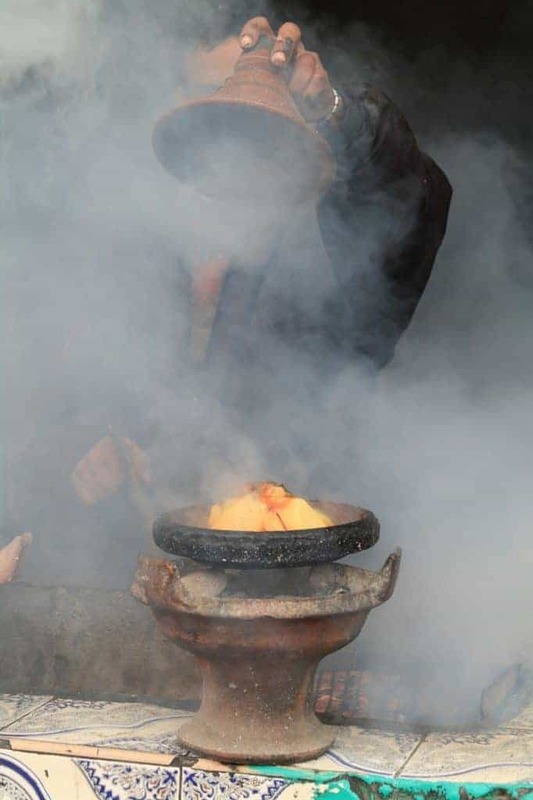 The pot would cook for hours, on a traditional Moroccan brazier, filling gradually the kitchen with a delicious spicy smell. 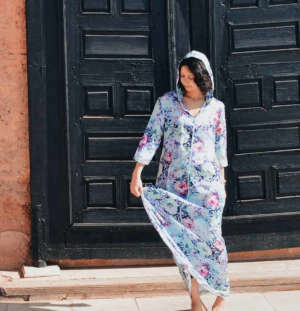 The process would take hours (from going to the local market to get fresh vegetables and meat, to finally serving the tagine), but it was so worth it! 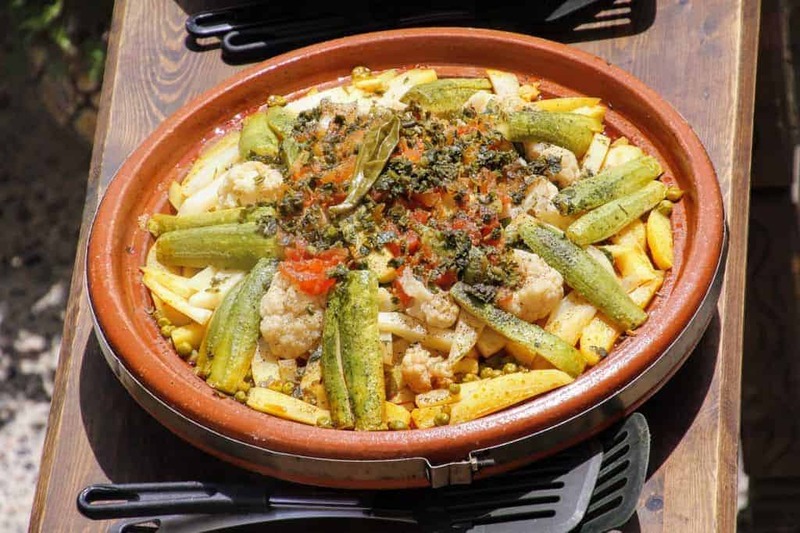 If you tried a traditional Moroccan tagine dish, you know what I mean. Because of the slow cooking, the vegetables and meat cooked in a tagine pot will be very flavorful, deeply infused with the herbs and spices. The sauce will have reduced enough and concentrated the flavor. Oh, and don’t even get me started on the delicious after taste of smoke and roasting, due to cooking in the clay tagine. 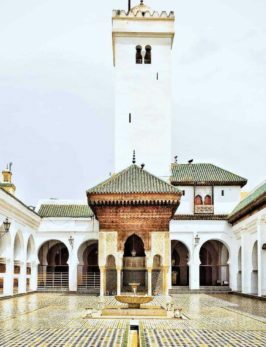 Nowadays, Moroccan families got very busy, reserving the use of tagine clay pots for special gatherings, religious celebrations or to chilling days, like Saturday and Sunday. However, if you go to Morocco, most restaurants will still use the tagine pot in their cooking process. 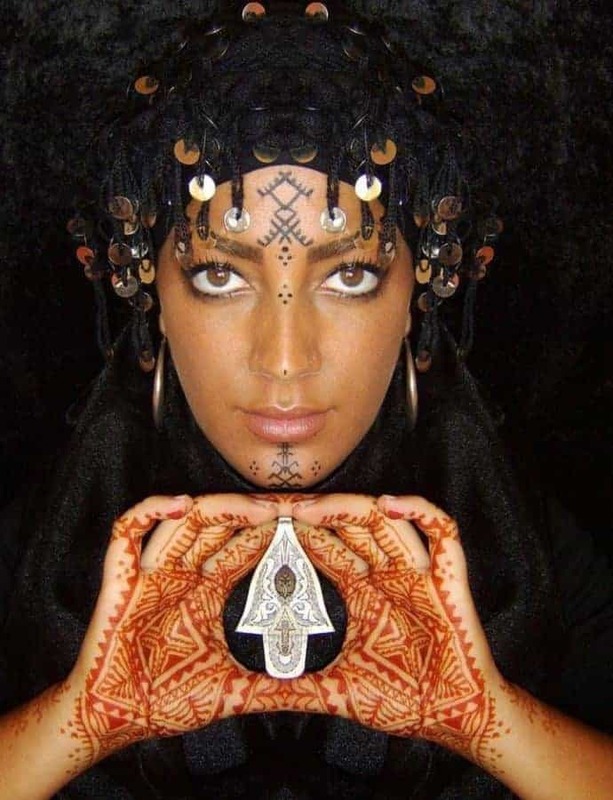 It’s a big part of the Moroccan tradition and identity and there is a strong will to transmit that to Morocco visitors. Not all Moroccan tagine pots are equal. 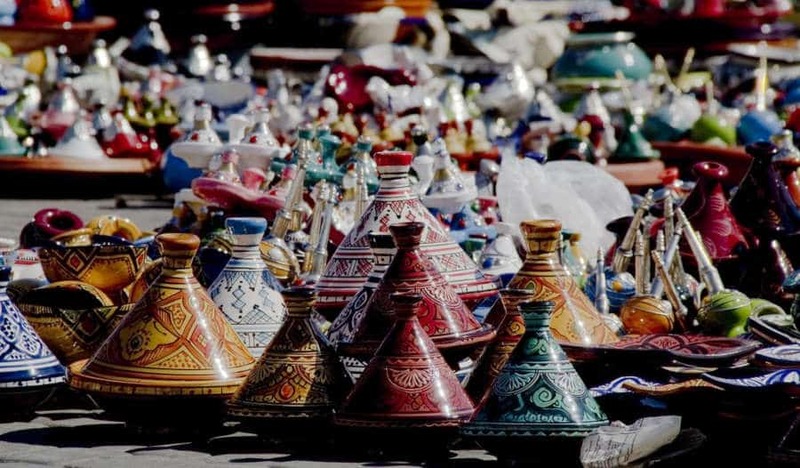 If you are not familiar with Moroccan tagines, you might end up purchasing the wrong pot for your family. To make things easier for you, just remember that there are basically 3 types of Moroccan tagine pots. Tagine pots for decoration and serving are quick to spot. They are shiny with beautiful paintings and bright colors. These tagine pots are perfect for decoration as they bring an interesting exotic touch and pop of color to anyone’s kitchen and living room decor. Decoration tagine pots can also be used as a serving bowl for paella, chilis, pasta, and salads, for example. I have done that many times and my guests loved the attention. The tagine cover helps food stay warm and the tagine style embellishes the table dressing. Just make sure the plate is slightly profound, which is the case with most Moroccan serving tagines. Unglazed tagine pots are the rawest kind of Moroccan tagine pots. They are made with clay only and have no decoration, paintings or colors. Unglazed Moroccan tagine pots are perfect when looking for a perfectly natural cooking utensil. 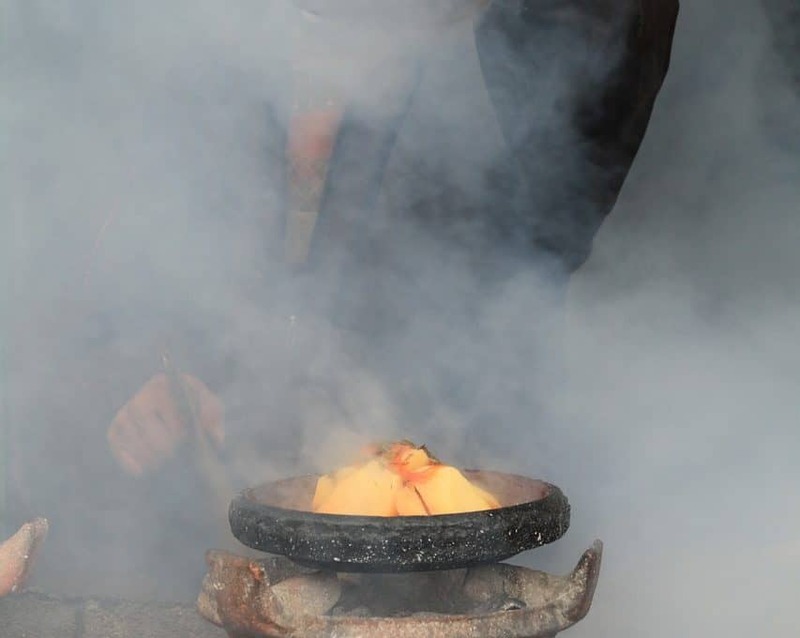 While simmering, the ingredients will be in contact only with clay and will have that natural, delicious smoke flavor. The raw quality of the unglazed tagine pots makes them also a great rustic decoration piece and a minimalist plate for servin. These tagine pots are a little bit rare online. However, if you look thoroughly, you can still find unglazed tagine pots at a very reasonable price. 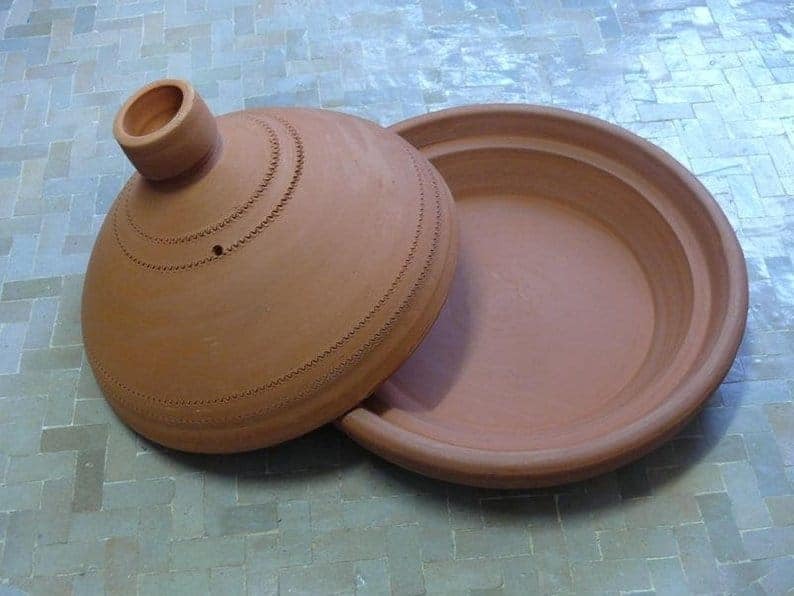 Beautiful unglazed Moroccan tagine pot, shop it here. This is the best compromise if you want a tagine pot to use for cooking, but with some colors and paintings on it. Glazed tagine pots are also the most common type of tagine pots in Morocco. The glazing helps food not to stick to the bottom of the tagine and makes cleaning easier. Typical glazed tagine pots, minimalistic with some shine and paintings. Just make sure the glazed tagine pot is lead-free like here. When using your cooking tagine pot, always remember to have it on low or medium heat. This way you take care of it more actively. Besides, slow-cooked meals always taste better, and tagines are no exception! Cooking in Moroccan tagine pots is really easy and practical, as you don’t need to sauté, stir or prepare the ingredients separately. You only have to place the ingredients in the tagine pot, add the sauce and let everything cook covered for a few hours. If you are looking for a great authentic recipe, Azlin’s Moroccan chicken tagine recipe is one of the best out there. 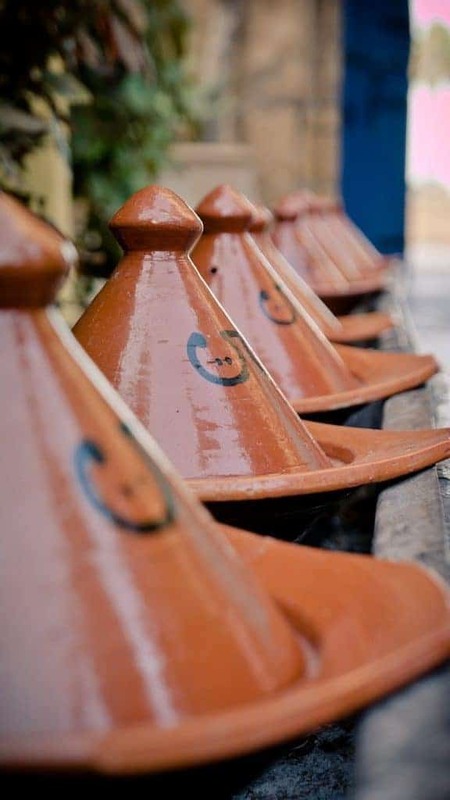 If you have the chance to travel to Morocco soon, you will find tagine pots in every medina and souk in the country. The prices will be a little bit lower than online, but sometimes, it can be more expensive. Yes, you read right! 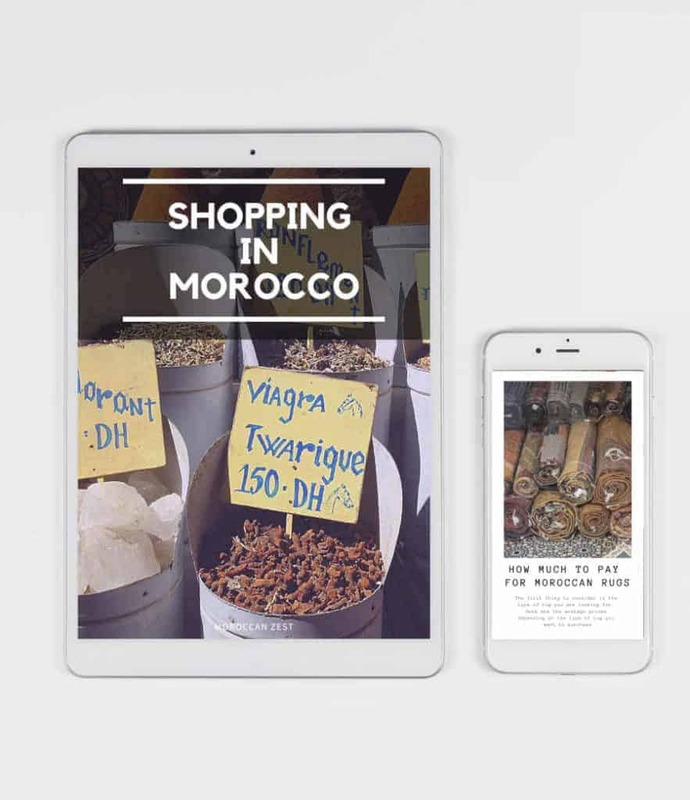 The reason is simple, Moroccan markets have a special dynamic based on bargaining, so if you are planning on visiting the country, I would highly recommend you learn a little bit about Moroccan markets rules and dynamic. That way you know what to expect and how to get the best out of your shopping.